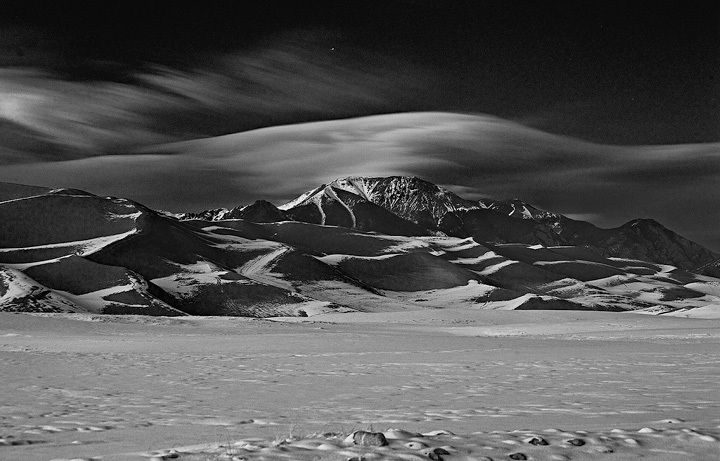 High winds cause a wave cloud to form over Mount Herard in winter. This was taken about 30 minutes after sunset; a few stars are visible in the sky. Photo © copyright by Stan Rose.